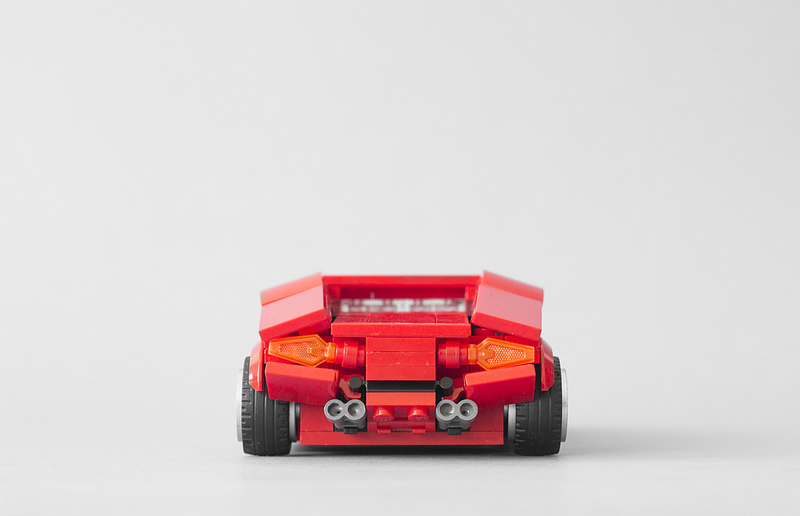 While I do love me some Speed Champions, I do really enjoy seeing fan creations using techniques that trim off most of the visible studs to give a car a sleek and smooth look. 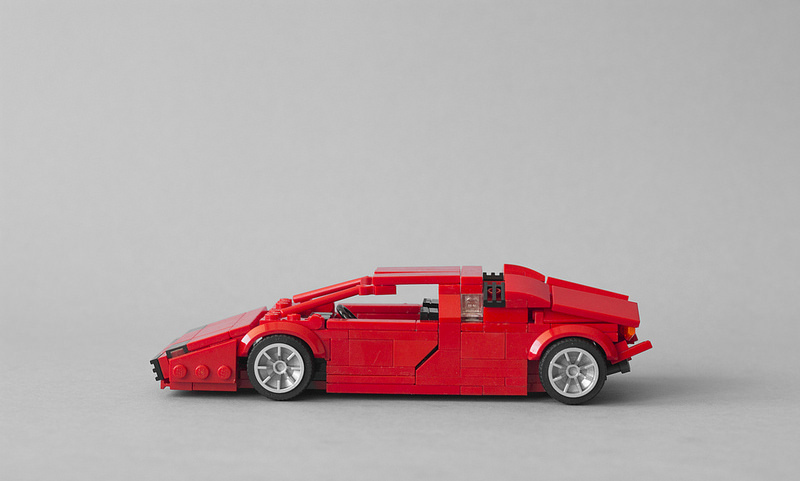 This Lamborghini Countach by Simon Przepiorka is one of those tiny wonders that make my jaw drop. 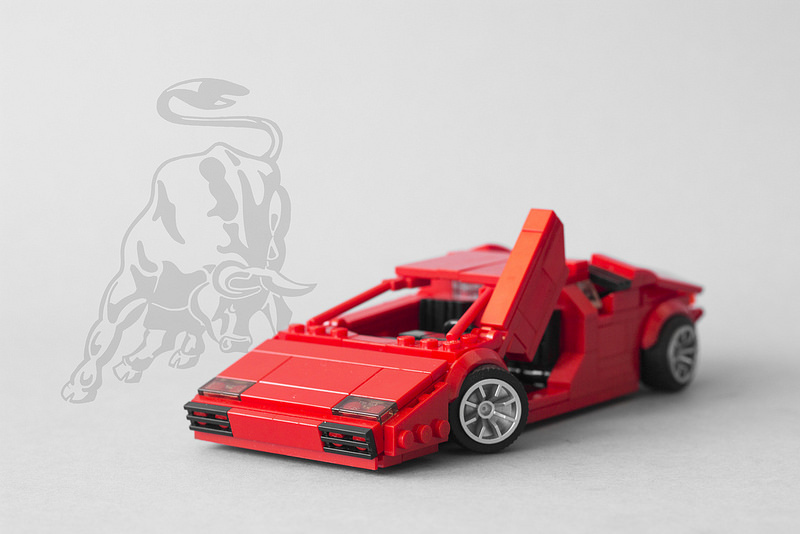 I’ve always been a fan of the Countach and this is one of the best representations that I’ve seen at this scale thus far. I love the functional design of the scissor doors that fit quite cleanly when they’re shut. The rear view pulls off the Countach’s signature tail lights with the genius use of the Orange Spear Tip popular in Nexo Knights Themed sets.